TTMT # 262 – Lots on the Way & a Blast from the Past! 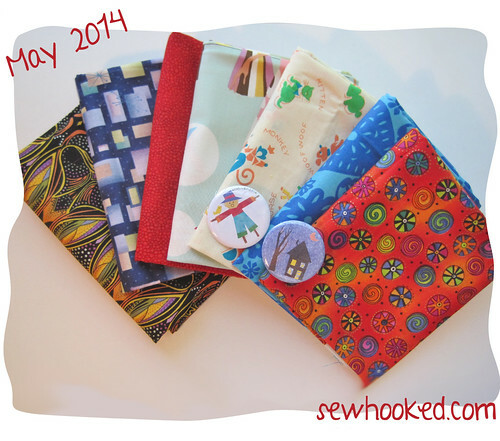 Fandom In Stitches – stop by tomorrow for the summer event announcement! Sometimes I receive emails from the Fandom In Stitches community that leave me utterly speechless. These fantastic images are courtesy of Claudia D. Claudia made the Doctor Who Stitch Along quilt for her daughter Allison. The layout is my own Faux Mitered Marvel. Allison attended Comic Palooza in Houston, Texas over the weekend. 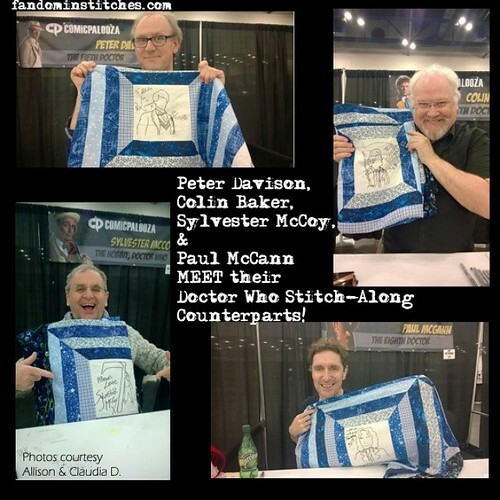 She took her Doctor Who Stitch Along quilt with her and this is what happened! Claudia shared these awesome photos with us and has given her permission to share them with all of you. Thank you Claudia! Blocks shown were designed by Jordan Frederick (The Eighth Doctor), Kristel Carnahan (The Fifth & Seventh Doctors) and me (The Sixth Doctor). All patterns can be found on the Doctor Who page on Fandom in Stitches. Featured Pattern – Aces High, now just $7 on Craftsy! This entry was posted in talk to me tuesday, vlog and tagged talk to me tuesday, ttmt on May 27, 2014 by Jennifer Ofenstein.